A supergroup can be a tricky thing. Actually, any collection of critically recognized talent – whether it’s in film, music, art, etc. – has the potential to veer into disaster as egos clash and stylistic differences wrestle for dominance. It’s the reason culture critics and consumers react with caution when one such project is announced: while the talent involved is often superb, we’re all wondering when the expiration date will roll around. The Rides don’t seem to have this problem. 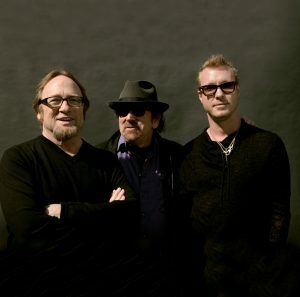 Formed in 2013 shortly after Stephen Stills and Barry Goldberg played together for the first time, with Kenny Wayne Shepherd quickly invited to join as the group’s younger blood, the Rides made the most of their multigenerational appeal on their debut record Can’t Get Enough and supporting tour. Through Stills and Goldberg, the Rides attracted baby boomers who first swayed to the peaceful protestations of the Stills-penned “For What it’s Worth” and watched Bob Dylan go electric with Goldberg supporting on the Newport Folk Festival stage in 1965. 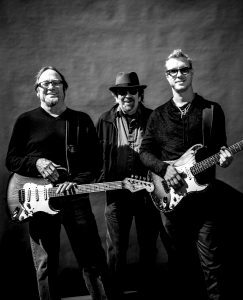 Through Shepherd, the Rides galvanized younger fans, the children of the flower children who bore witness as young guns like Joe Bonamassa, Jonny Lang and Shepherd picked up the torch to carry blues-tinged rock into the new millennium. Congratulations on the release of Pierced Arrow. What has the reception been like so far? 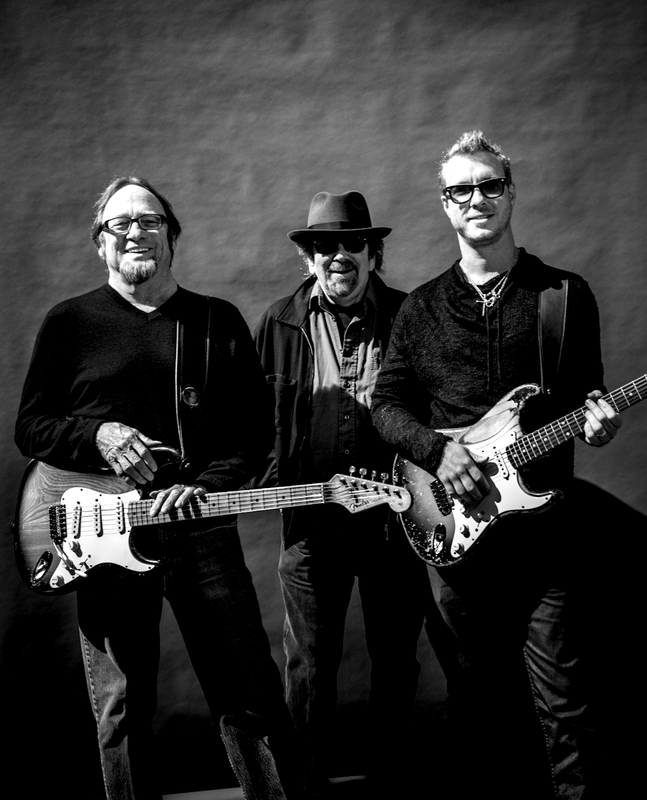 Kenny Wayne Shepherd: I think everybody who’s heard the record loves it. We toured basically the whole month of May and the beginning of June, and that went very well. I think it’s a great album with great songs. It went over very well in the live shows, so we’re looking at maybe doing another leg of the tour later this year or early next year. It’s all positive, in my opinion. Of all the musicians that could have been involved in a tour de force trio like the Rides, why do you think this group works so well? KWS: To me, it’s the combination. It’s generations. Stephen and Barry come from one generation, I come from a later generation. We all have these diverse musical backgrounds, but collectively what binds us together is the blues. We’ve got extremely talented and accomplished musicians that really enjoy making music together. We’re committed to this band, to this project. Barry Goldberg: First and foremost is that it works together, the chemistry of the band. I’ve been in so many bands in my career, and the styles of music never really gelled the way they do here. Not just in the playing, but in the writing, as well. Everybody really loves playing together in this band. The joy of it translates to the audience, just how much fun we’re having. What is the Rides’ writing and recording process like? KWS: Basically we all got together at Stephen’s house, just like the first [album]. We get together at Stephen’s house during our off time and everybody will walk into the door with ideas and present them, and we pick one and start honing in on it. Usually it started with guitar, and then there would be the lyrics on top of that. The three of us contribute equally. The only thing that changed about this album was that Kevin McCormick, the bass player, pitched ideas, as well. BG: Stephen and I started working together, our manager Elliot Roberts put us together. Stephen had an idea that he wanted to start a blues rock band. Elliot was over at my house hanging out and he was looking at some of my gold records and he saw Super Session, which Stephen and I did a long, long time ago. And he said, “Why don’t you go over to Stephen’s house and see if you guys could write something together?” A couple days later, I went over to Stephen’s and we wrote two songs in about half an hour. It was like finding a real soul brother, someone I could relate to. We have a lot of the same histories. Although we never met on the Super Session album – he was on one side, I was on the other – we still got along great. We discussed wanting to get a young gun guitar player, one of the great new guitar players. I suggested Kenny Wayne, and Kenny Wayne came over like a week later and he fit right in. Before we knew it, we almost had enough for our first record. Did touring for the first time after the release of Can’t Get Enough influence your creative process? KWS: We play the way we play together. I think we just do what comes naturally. Instinct fits in: who’s going to do what, who’s going to sing this particular song, who’s going to play that part. We just come together. There are no egos involved, nobody is trying to bend the will of the band. We all weigh in with our thoughts and ideas, and everybody takes them seriously. We go with what sounds best. BG: On the second album we felt more like a band. The first album, we weren’t experimenting or anything like that, we were just coming together as a group. The second album, Kevin McCormick started writing with us. It was easier to write because we were familiar with each other’s styles. I think the songs were better; although I love the first album, I think the second songs we wrote were…we weren’t looking to do this, but we were writing songs that could be on radio. It wasn’t intentionally done like that, but the songs I think came out a little better. Kenny and Stephen share vocal and lead guitar duties on Pierced Arrow. Does the decision of who does what come naturally, or is each decision a conscious one? KWS: It’s very interesting and cool, and every night is something different. There’s a lot of improvising that goes on. We just feel our way through it. We’ve got a lot of mutual respect, and nobody’s trying to overtake the other person. The whole idea of this band is that it’s an organic thing: the writing is organic, the music is organic. It’s for the love of the music. There are no egos involved, there’s no friction in this band, there’s no drama. I think that translates to the audience and through the music. I think people hear it. 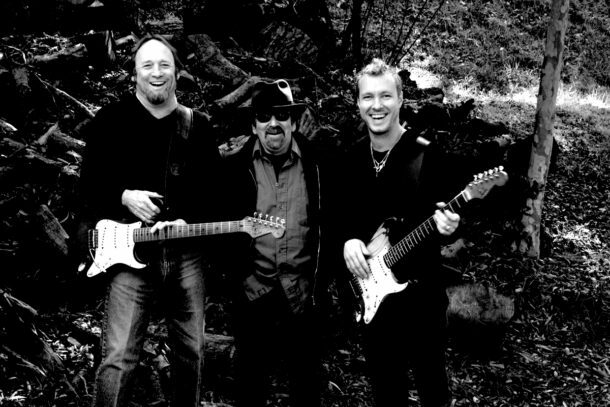 On both albums and during live performances, the Rides cover songs you’ve each recorded or worked on as solo artists, as well as several by artists like Willie Dixon, Elmore James, Muddy Waters and more. Is there any material you consider to be off-limits, or alternately that you hope to cover in the future? BG: Kenny comes up with the covers. When we did “Talk to Me Baby” on the first record, I swear he sounded like Elmore James. That was a perfect song for him. He came up with “My Babe,” the Willie Dixon song, out of the blue. He just came in: “Let’s do this, let’s do that. I love this song.” We could do a whole album of cover songs if we wanted to. We even did a version of “Born in Chicago.” It’s a lot of fun to go into the old blues catalog and come up with these wonderful songs. Kenny suggested that we do a song of mine that was a hit record for Gladys Knight & the Pips (“I’ve Got to Use My Imagination”), but he went back and said, “My favorite version is by Bobby ‘Blue’ Bland, and I’d like to do it more like that.” When I originally wrote the song, I wrote it for Albert King, with a slower groove, and we used a Muscle Shoals rhythm section. Gerry Goffin wrote the lyrics, he was my writing partner for so many years. But the Bobby “Blue” Bland version was a little more r&b and a little funkier. Albert King turned it down, but Gladys Knight picked it up around the same time, and it was a number one hit. Kenny’s favorite version was the Bobby Blue Bland version, so that’s how we did it on the record, and it came out great. KWS: We don’t really talk about [recording ideas] until we walk into the studio, so I’m not exactly sure. There are some songs that we’ve done that didn’t end up getting released that were covers. We don’t plan too far ahead; we take it one day at a time. When it comes to what songs we want to do in the future, I think we’ll cross that bridge when we get there. I’m curious about the creativity behind Pierced Arrow, especially in songs like “Virtual World,” “My Babe” and “Riva Diva.” Are there stories you’d like to share about the process behind those tracks? KWS: “My Babe” was spontaneous. Stephen was running a little late that day because he had an appointment that was running behind. I was listening to a blues radio station on the way into the studio that day and “My Babe” came on. I thought, “Man, we could do a good version of this song.” So when I showed up and realized Stephen was running a little late, I just said, “Hey, why don’t we try doing ‘My Babe’?” So we did; we played it one time, literally, and that was it. That’s the song that you hear, that’s the version. It came out really well. On “Virtual World,” Stephen went in and recorded his vocal, and I kind of thought the song was done. It just seemed that he was finished, but I could see he was thinking about something. That’s when he suggested that I go into the vocal booth, and he was going to lead me through the harmony part. It transformed the song; it took it to a whole other place and made this magic that wasn’t there before. It was really cool for me, because I heard my voice harmonizing with his voice for the first time. This band was never supposed to be a harmony band, but that’s what he does, and he does it very well. 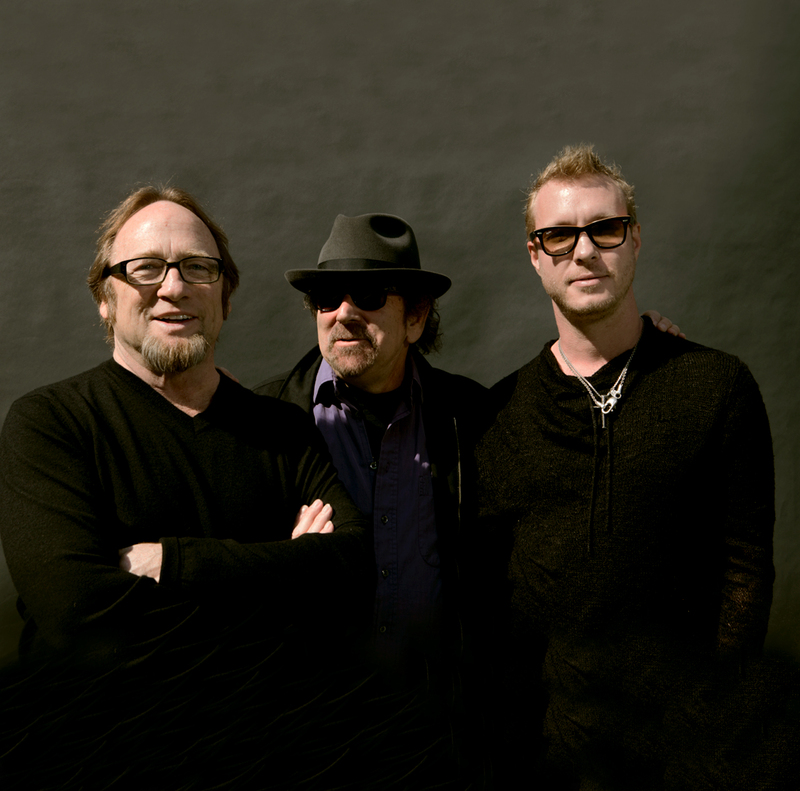 To hear me singing harmony to somebody like Stephen Stills…that was a pretty amazing moment. BG: “Riva Diva.” When we do that, I’m in heaven. I get to play those boogie licks, and it’s the closest thing to the music I love most, that kind of rock ‘n roll. Kenny and I were just playing boogie stuff together. I don’t get a chance to play that on record a lot, and that’s my favorite style of piano: the Johnnie Johnson, Jerry Lee Lewis kind of boogie piano. Kenny came over, we were playing this song, and Stephen walked by and said, “Riva diva rock ‘n roll shoes.” And Kenny and I said, “That’s the title we were looking for.” We based that whole song on Stephen’s title. That’s the most fun for me to play, and the Elmore James song…I love them all, really. It’s sad when we get up to the last song because I could keep playing for hours with these guys. Stephen gets to do his political stuff, too, which is really cool. Statements, you know. “Mr. Policeman.” And Kenny, he just blows my mind, his playing. Sometimes I’m sitting there and I scream onstage – I can’t help myself. I just lose control. He’s so good. Chris Layton lays down the perfect backbeat that I’d die for drummers to play. And Kevin McCormick is so rock-solid, a consummate musician and great bass player. It’s just a beautiful thing. Given the classic car theme behind the band, what’s your favorite mode of transportation to take out on the road? KWS: I just did a weeklong, multi-state road trip with a bunch of my friends in our hot rods, and I was driving my 1970 Plymouth Duster. That’s just a really cool car – I’ve driven it across the United States several times. It’s been a very reliable vehicle. If I were going on a long trip, that’d be the first one I would jump in. BG: I’m not into it that extensively. I know Stephen and Kenny are. When they talk cars, I go back to my Schwinn bicycle, you know, with the little flares on the side. But my preference is a Mercedes. I drive a 250 Mercedes, a 2014, which is the Jewish blues man’s car. Instead of the Cadillacs, the Jewish guys drive the Mercedes. I’m into the cars more for the ride, the comfort. After the successful solo and collaborative careers you’ve had thus far, how does the Rides fulfill you now as artists? KWS: I’ve played with incredible musicians through my career and I’ve gotten to do some very special things. Being in this band with Stephen and Barry ranks right up there towards the top of cool things I’ve gotten to do. I feel really fortunate, really grateful to have all these opportunities. It’s a lot of fun, and as long as it continues to be fun, I think we’ll continue to make music as a band. BG: It’s a chance for me to write, it’s a chance for me to play, and, most important, I have a blast. When I’m playing with great musicians, it just opens up my history to when I started playing as a teenager, when we would go out to the south side or the west side of Chicago and play with Muddy Waters – that was another high point of my life, of my career: playing with Muddy, playing with [Howlin’] Wolf, playing with Mike Bloomfield, playing with the Chicago Blues Reunion. I’m spoiled. I’ve had a wonderful career, and now to be playing with a band I love…at this time and place at my age, to be getting off the way I am with the Rides…that’s it for me. I couldn’t want anything more than this. It’s a band of brothers, of soul brothers. It’s wonderful the way it came to pass. None of this had to work. It was a natural process of personalities, of musical talent just coming together and working. I was in a supergroup that was a disaster because each musician’s style was different. We weren’t meant to play together. But this just happened: nothing was forced. What’s next for you as solo artists and with the Rides? KWS: For me personally, I’ve been writing songs for my next album and we’re editing a live DVD concert. We’ll have a live DVD to put out hopefully in the next year and have a new studio record out next year. I have hundreds of guitar ideas that I’ve recorded on my phone, just kind of waiting to be written, but we’ve already written a bunch of songs, as well. BG: We’re in the process of switching agents. The last tour was wonderful; we hit some major places. But until we lock in with the new agency…I know they’re going to try to book some tours in the near future, but I don’t know when. I’m just hanging in there, and I’ll do some pickup gigs along the way. We have a new film called Born in Chicago, a documentary of those early days in Chicago, and I’ll hopefully do some gigs with the Chicago Blues Reunion. That’s the future for me.